The month has just ended for us and it is see how the monthly charts look. Trend is up with support at 7450 spot. For a reversal, I will look at a min 2% correction on closing basis as a warning sign. The bigger the bar, the stronger the warning. As of now this is not happening. 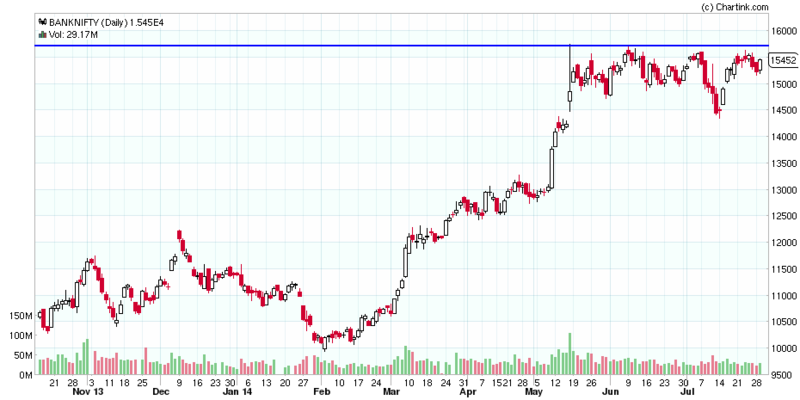 After breaking support at 14700, BNF has recovered smartly and is retesting recent highs. Now strong resistance is present at 15800 levels... so breakout above this will be bullish. After 2 days of decline, markets recover and close in the positive. For further bullishness, holding today's low will be crucial in next 2-3 days. Consider trend as up as long as nifty trades above 7450 spot. This AFL will plot support, resistance and pivot levels on intraday charts. For the formula and some theory on this, visit this wikipedia link. This is the way the indicator looks when plotted on a chart. Question: Suppose Two stocks have buy signal having price of Rs 100 each. Now one stock has Rs 1 SL, so I hv to buy 1000 shares and second stock has Rs 5 SL, So I hv to buy 200 shares. Am I Right ? But how can I make money management ? because one stock has buy value of Rs. 1 Lakh and second has buy value of Rs 20,000 only ? On weekly charts, trend is up with support at 7450 spot. Trend is up as markets close at new high. Advance decline was flat. Trend is up with support at 7450... also, the H&S pattern is as good as rejected. Note that this is second day, markets have closed in the positive but broader market is witnessing selling. Market outlook - index management at work? NIFTY was up 84 points of which 62 points were contributed by 6 stocks. Of this, 40 points were contributed by RELIANCE, HDFC and TCS. Inspite of all this, advance decline was negative so if these 6 stocks had closed flat, nifty would have been in the negative by 60 points. Trend is up with support at 7450. Resistance is at 7800. However today's trading range was extremely small and it could be argued that while bulls did not have the strength to pull markets higher, the bears so far did not make any attempt to start selling stocks. Both these are trending down for quite some time. However recent corrections are slower and taking more time to achieve a price effect. We all keep hearing the "trend is your friend" or "follow the trend" etc but what is a trend? A trend is the persistence of a stock to move in a particular direction (up or down) over extended periods of time. Since TA principles are independent of time, different trends can co-exist simultaneously over different time frames. For eg., it is common for weekly trend to up and daily trend to be down. Ditto for intraday charts. NIFTY maintains uptrend... closing near weekly high but well below last week's high. The bullish case is last week's low is nicely protected while bearish case is markets are still trading last week's range so take your pick. NIFTY is reaching resistance level at 7700. 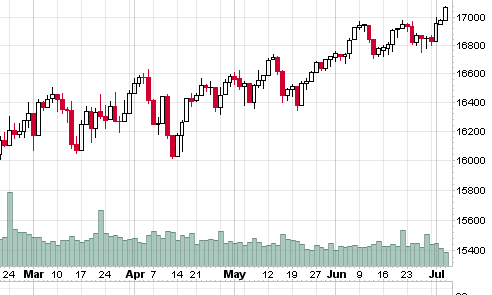 Note that as per H&S view, this means we may shortly form the top of the right shoulder. B NIFTY is rangebound despite the one day close below recent support at 14500. Markets close in the positive for the 2nd day in a row. Within a downtrend, 2-3 days of rally is allowable. Tomorrow is the 3rd day and day after is Friday. Slowly but surely the DOW has gained 25% since JAN 2013... the other indices have fared better and stocks even better. This is inspite of all problems in this world (political, financial, currency etc etc). NIFTY forms higher high higher low bar... within a downtrend, 2-3 pullback days are acceptable. Market holding support at 7450 levels. Small trading range implying lack of selling and buying. Bears do not want to short and bulls bit hesitant in buying aggressively. Now that markets have retraced the previous upmove in a faster time, chances are high of a trend reversal. On daily charts, nifty has closed at the week's low and very close to swing low support at 7450. Close below 7440 will mean that trend is reversing ... this may mean more corrections or sideways movement. Note that nifty has shown faster retracement of the last rally... this also points to a trend reversal. There is a sell signal on kplswing indicator... even otherwise, the close is below the trading range developed from election results day so this is significant. B NIFTY trend is still up with support at 14500. Note that this is the low of the election results day. A volatile day with a trading range of almost 300 points and close near open. This day also saw a drop of 12% in VIX. 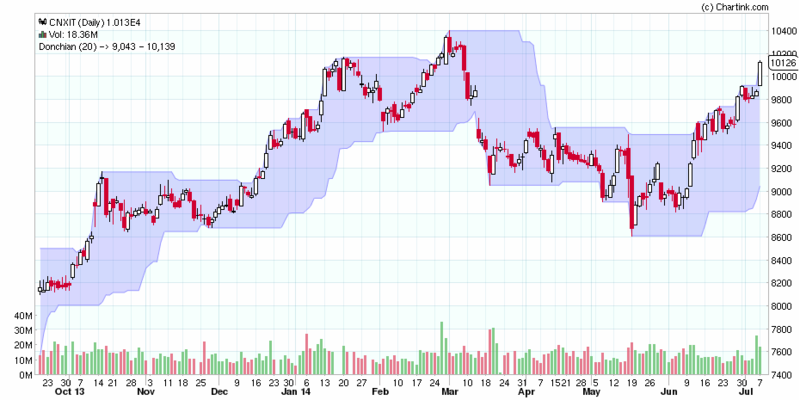 On EOD charts, trend is up with support at 7450. Market close 2% in the red... biggest loss on closing basis and first time this year. Now high swing low is at 7450 and this level is expected to provide support. Do you limit the number of stocks in portfolio? 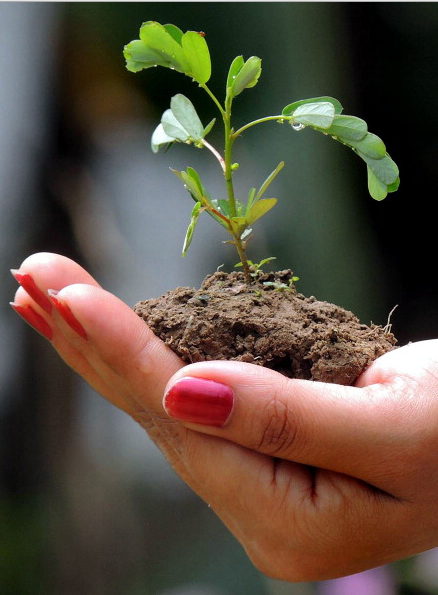 If yes, how do you decide when to sell a holding and putting that into a fresh opportunity instead? Because in this kind of market, many stocks will give breakout signals. So I have 10 stocks or so already but can't decide whether putting more capital into new stocks is a good idea from overall risk management point of view. Your thoughts will be appreciated. The CNX IT index is moving up... the first update was posted here. EOD charts: trend is up with support at 7440. Note that trading range is getting smaller even as nifty is making new highs. Advance decline was flat which means broader market did not participate in this rally. Net worth: $3.6 billion. The founder of the Tudor Investment Corporation, Paul Tudor Jones made his first fortune trading cotton on Wall Street before launching the corporation. He anticipated the 1987 market crash enabling him to triple his capital. Trend is up with nifty closing at weekly high AND lifetime high.... this is a very good sign. Break of initial trading range (rectangle) was a sell signal. First post on 16th MAY - NIFTY achieves first target 7200... 9000 next? Now that markets holding nicely above 7500... it looks we are heading for new highs. DOW closes above 17000 first time ever and today US markets are closed. Today is also a Friday. So if markets close at new high/ day's high/ lifetime high fully knowing next 3 days are a holiday... then it simply means that smart money is strongly bullish for next week and see no need to book profits. Trend is clearly up as markets hold on to highs... now weekly close around current levels will be strongly bullish and one can expect nifty to test 8000 levels. NIFTY closes at new lifeitme high. Slowly but surely markets are heading towards new highs. Despite all bad news about economy, inflation, monsoon failure, iraq problems etc, markets are still in uptrend. NIFTY closes above recent swing high on hourly charts... this is the second day. Holding swing low at 7450 is bullish. Option writing points to support at 7000 and resistance at 8000... this is a big range.